The Consortium has been Announced for the $5.4bn Cross River Rail project. Days after being snubbed for federal funding in this year’s budget, the contractors responsible for building the state government’s Cross River Rail project have been announced. Queensland’s growing economy and more than $44 billion of public and private sector infrastructure projects have attracted ongoing investment into its capital city office market, with the volume of office transactions above $5 million in Brisbane’s CBD reaching the highest level in 10 years. Reports indicate that around $2.35 billion in office sales took place in 2018, a jump of 60 per cent, compared to $1.47 billion in 2017. A major source of capital was seen in cross border investment from offshore, including Canada, United Kingdom, United States, Singapore and Germany, increasing to $1.77 billion last year from $891 million in 2017. Increased interest from offshore and domestic institutional investors in 2019 is expected to continue according to agents. “Constrained supply of new developments is expected to continue in 2019 on the back of low risk appetite from Australian developers holding back the construction of new developments until pre-commitments are confirmed,” Colliers repoted. This is positive news from an investor perspective. Prime grade vacancy in Brisbane CBD at the end of 2018 was at 10 per cent, while secondary grade vacancy sat at 16.9 per cent. Deloitte Access Economics forecasts Brisbane CBD’s white-collar employment market to gradually grow at an average of 2,820 persons per year across the next seven years to 2025. And with overall vacancy rate sitting at a five-year low, Colliers International research manager Karina Salas expects increased leasing activity and tighter vacancy in the coming years due to growing white-collar employment in the CBD. Mirvac’s $800 million development at 80 Ann Street is set for completion in 2022 . Salas says this is also the only premium building under construction, with about 70 per cent of its net lettable area already committed to Suncorp in what was described as the biggest leasing deal in a decade. Brisbane CBD saw a total of 46,931sq m in net absorption last year and a total of 102,120sq m over the past three years averaging 34,040sqm per annum for this period. 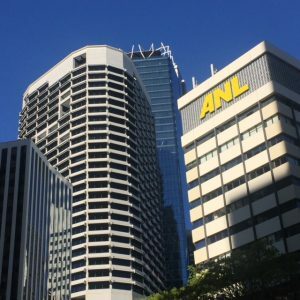 The Brisbane CBD also recorded a total of 139,613sq m in withdrawals and a total of 209,290sq m in new supply indicating a total supply of 69,677sq m across the past three years. South East Queensland, and in particular, the City of Brisbane, continues its development. Local, state and federal governments are working together to make Brisbane the most liveable city in Australia. This will increase development opportunities for commercial real estate in Brisbane. Queensland Deputy Premier Jackie Trad this week released TransformingSEQ, which is the City Deal proposal the state government and its SEQ mayors will discuss in Canberra with the PM. Key ‘game changers’ propose to build upon the $5.4 billion Cross River Rail and Brisbane Metro. More Brisbane Hotel developments coming on stream. This report is based on an article by DINAH LEWIS BOUCHER in The Urban Developer. The New $60m Howard Smith Wharves Hotel is reported to be progressing nicely. Art Series Hotels has officially announced it will open its $60 million flagship hotel at Howard Smith Wharves in March 2019, unveiling new images of the five-star venue. 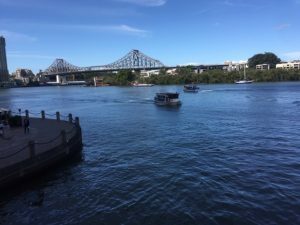 The SJB designed hotel, which will bring 166-guest rooms to Brisbane, has long been rumored it would call the $100 million Howard Smith Wharves development along Brisbane’s River precinct home. The Arts Series Hotels, which launched in 2009, was privately owned by the Deague family until it was acquired by Mantra, is being developed by the Deague Group under chief executive Will Deague. SJB director Tristan Wong said the historically significant location would provide visitors a unique opportunity to understand more about Brisbane’s history. 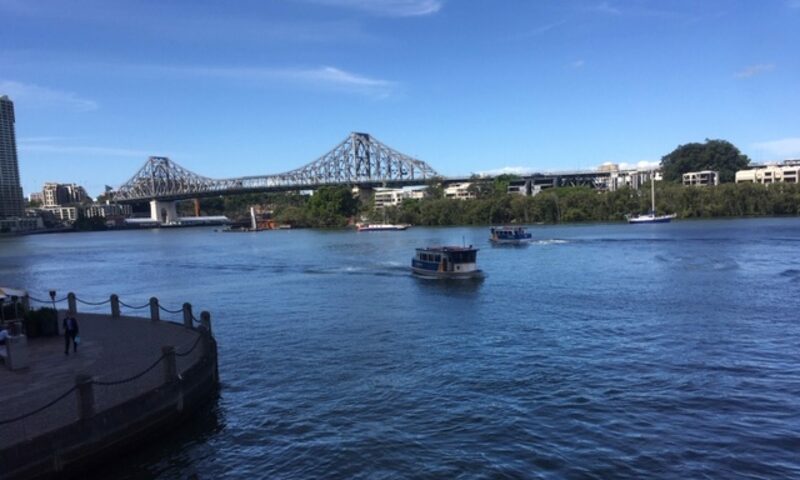 “Howard Smith Wharves was constructed in the 1930s in conjunction with the Story Bridge. Another beautiful day in Brisbane. The city is bustling and there is plenty of commercial real estate for sale. Confidence high in Brisbane with the New Westin Brisbane Hotel Opening. The latest luxury hotel The Westin Brisbane has officially opened, marking the brand’s Queensland debut, and bringing in another offering to the city’s blossoming hotel market. The $200 million hotel from the Marriott Group sits within the Woods Bagot-designed 37-storey mixed-use tower on Mary Street in Brisbane’s CBD. The Westin has 299 guest rooms and suites. The Mary Lane tower comprises 184 luxury residential apartments located above the hotel component of the development. The Westin is a 5-star hotel with a focus on its guests’ health and wellbeing. Woods Bagot’s Bronwyn McColl described the hotel’s design as sophisticated, evoking a sense of refuge and ritual. The hotel has a fitness studio, a spa and regular yoga and Pilates classes. Wellness is a big focus, with the hotel even having a “run concierge” also known as a local running partner. “Guests will feel the authenticity of a truly local experience,” McColl said. The ground floor lobby flows into the hotel’s street-side jazz bar, as McColl says the ground floor hospitality was designed to merge with the street in a greater way than a traditional hotel. Brisbane City Council’s hotel incentives, announced in 2012, offered infrastructure reductions for four and five-star hotel developers. Subsequently, a wave of hotels hit Brisbane’s market in recent years, including the 103-room Ovolo, the 312-room W Brisbane. The Malouf family opened their long-awaited $100 million The Calile Hotel just last month. While the 164-room Howard Smith Wharves Art Series Hotel is due to open early next year. This is greatnewsfor the Brisbane . Confidence levels are high with several new office towers also under construction. Brisbane has again proven to be the most affordable and liveable capital city, according to latest research. PRDnationwide analysed each state to find the most affordable suburbs as part of their capital city Affordable and Liveable Property Guide for the first half of 2018. To measure a suburb’s affordability, PRD considered location (within a 20km radius from the CBD), price growth, rental yields, project development. Suburbs also had important liveability criteria, being within 5km of amenities like schools, parks, shops and health care facilities, low crime rate, and a lower than average unemployment statistics. PRD highlighted Algester for having the best of both affordability and liveability given its low entry prices and proximity to supermarkets, parkland, public schools, a medical centre and the motorway. The Reserve Bank has this afternoon made its cash rate call for the month of November, against a backdrop of record rate lows and a softening housing market. As widely predicted, the RBA has today left the official cash rate on hold at 1.5 per cent. Australia’s top economists were unanimous in predicting another hold, including ING Direct’s Michael Witts, who said there are no triggers in Australia which would require a move. “There was no discernible change in domestic economic indicators over the past month, ensuring that the RBA will hold the cash rate steady in November,” he said. “A number of global economic developments may yet have an impact on the outlook for the Australian economy. That’s said, there is little chance of a change in the official cash rate in the short term, especially given the ongoing soft inflation numbers and the slowdown in the housing market; due to higher interest rates and tighter lending restrictions by the banks,” he said. Others, like Saul Eslake, pointed to patterns in employment which will continue to inform the RBA’s decisions. 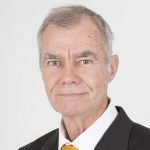 “Although most recently reported economic growth figures were above trend, and unemployment rate is 5 per cent – the level traditionally regarded as signifying full employment – the above trend growth is unlikely to be sustained in the near-term, the unemployment figure was probably rogue, there is still a lot of spare capacity in the labour market by other measures,” Mr Eslake said. “The RBA itself has started to wonder out loud that unemployment probably needs to be lower for longer than history suggests before wages growth starts to pick up – and, most importantly of all, the latest CPI data show underlying inflation still running below the RBA’s target range,” he said.